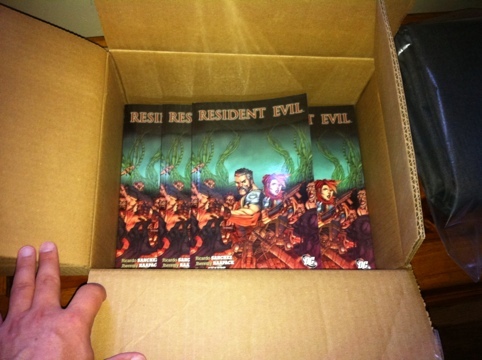 The first comic series I wrote was Resident Evil. I think it ultimately took almost 2 years for the 6 issues to come out. DC and Capcom had planned a trade paperback but with all the delays I sort of assumed it was a dead as the BOWs of RE. Until today. Got a box in the mail filled with RE trades! It was fun going back through and re-reading it after such a long hiatus. The art work by Kevin Sharpe and Jheremy Raapack really is awesome.